OTTAWA - Canadians are becoming increasingly vulnerable to a housing correction, exposing them to a perfect storm of high debt and falling assets, the Bank of Canada warns. In a book of four research papers released Thursday, the central bank suggests many Canadians have constructed their finances on a house of cards, with ever rising home values the key and vulnerable support. The bank economists point out that home prices have risen sharply in the past dozen or so years along with debt, as households needed both bigger mortgages to buy homes and used equity from higher home values to finance other purchases. "These facts are interrelated, since rising house prices can facilitate the accumulation of debt," the report notes. "Households therefore experience a significant shock if house prices were to reverse." It adds that falling home prices could have a "relatively large impact on consumption" as equity disappears and the ability of householders to borrow is diminished. It calculates that a 10 per cent drop in home prices could generate a one per cent decline in consumption, which would slow economic growth. TD Bank chief economist Craig Alexander said the fact the central bank devoted it's winter review on a single topic — debt — demonstrates how seriously it takes the issue. And he says the bank's example of a 10 per cent correction is not unrealistic given that it is the over-valuation figure the International Monetary Fund gives for Canadian housing stock. Alexander himself believes it could be as much as 15 per cent. He agrees that the central bank has every reason to be worried, because a correction could knock the stuffing out of Canada's fragile recovery. "When it comes to the housing market and personal debt, I'm not worried that a housing market correction will lead to a problem in the Canadian financial system," he said. "I worry more about the economy. I worry that if you have a drop in home prices and you wind up with consumers struggling to deleverage, it will lead to an economic contraction." The bank does not suggest a U.S.-style housing collapse for Canada is in the offing, nor does Alexander. A big part of the problem south of the border was due to easy credit conditions, something Canadian banks have avoided. But the bank's economists are clearly concerned nevertheless about the pitfalls from the steady increase in household debt, which has risen as a percentage of income from 110 per cent in 1999 to 153 per cent currently. And debt to household equity has risen as well even as home prices have soared. Part of that is well grounded on growing incomes, it says, but part is also due to super-low interest rates and unrealistic expectations that home values will keep rising. Of particular concern to the central bank is that much of the increase in household debt was not mortgages, but loans secured by home equity which Canadians in turn spent on consumer items and renovating their homes. "These findings suggest that household indebtedness constitutes an important source of risk to household spending, since it makes households more vulnerable to substantial negative economic consequences in the event of a correction in house prices," one paper states. 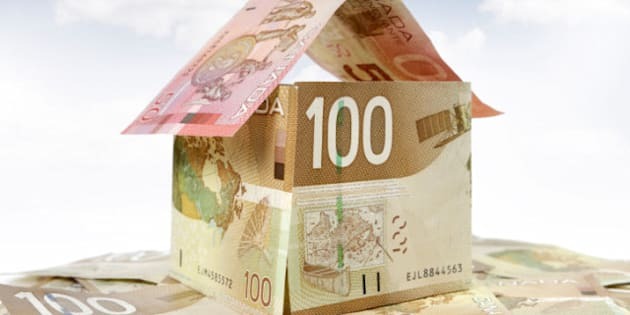 The Bank of Canada papers were released hours after a new analysis by the TransUnion management firm found that non-mortgage borrowing had slowed sharply in the past year to a one per cent increase, the lowest since 2004. While that represents only a small fraction of what Canadians owe, analysts have noted that overall debt accumulation has also been slowing of late and that expectations for home prices have moderated. That's a good indicator that Canadians are starting to heed the message, said Alexander. One paper issued by the central bank suggested that home prices have been influenced not only by low mortgage rates but also on expectations that values will keep rising. History shows that's a bad bet, the paper states. "Over history, these other factors are associated with the medium-run tendency of house prices to rise faster than their long-run trend for a number of years and then subsequently adjust back to trend." Those corrections could be as great as 20 to 30 per cent relative to the growth in the economy, it said. The Bank of Canada also notes that increasing debt levels have made Canadians more vulnerable to bankruptcies and insolvencies. Since 2000, about 100,000 Canadians a year have filed for insolvency or bankruptcy, triple the number in the 1980s. But the bank points out that in most cases, these were not homeowners. The vast majority are renters and the unemployed who have taken on too much in the way of credit card debt and bank loans.